You can select N.P.T. threads, or B.S.P.T threads. 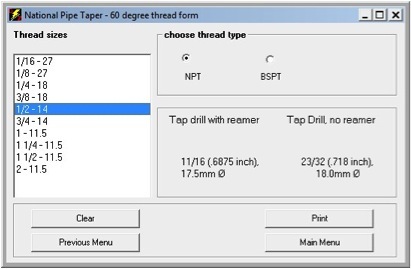 Once you click on the thread size, you are presented with the tap drill size for that thread. You will get 2 answers, one for the drill size if using a pipe reamer too, or a larger size if no pipe reamer will be used.